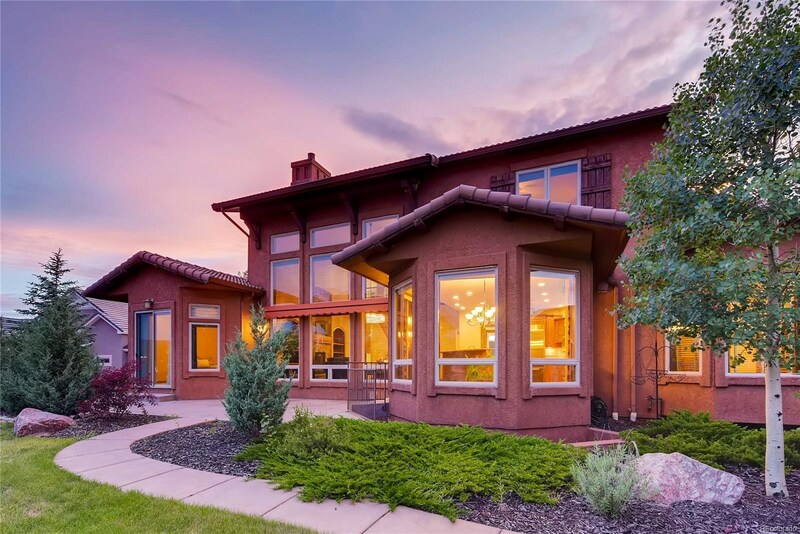 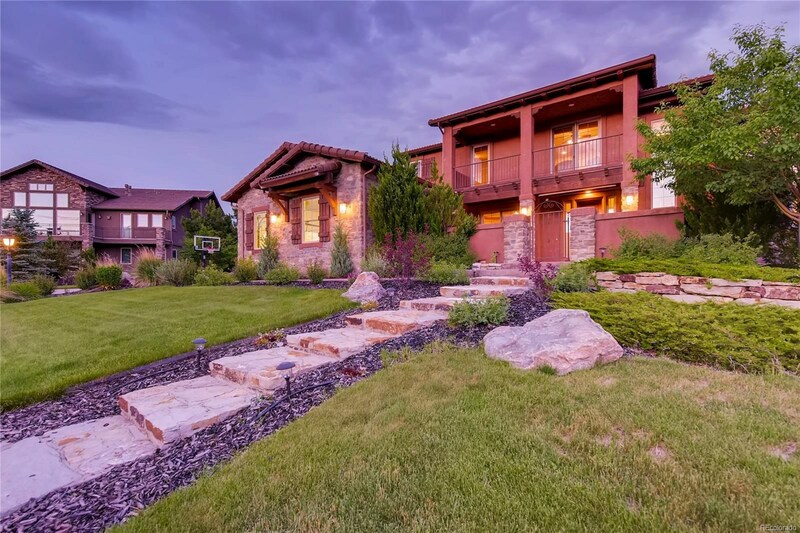 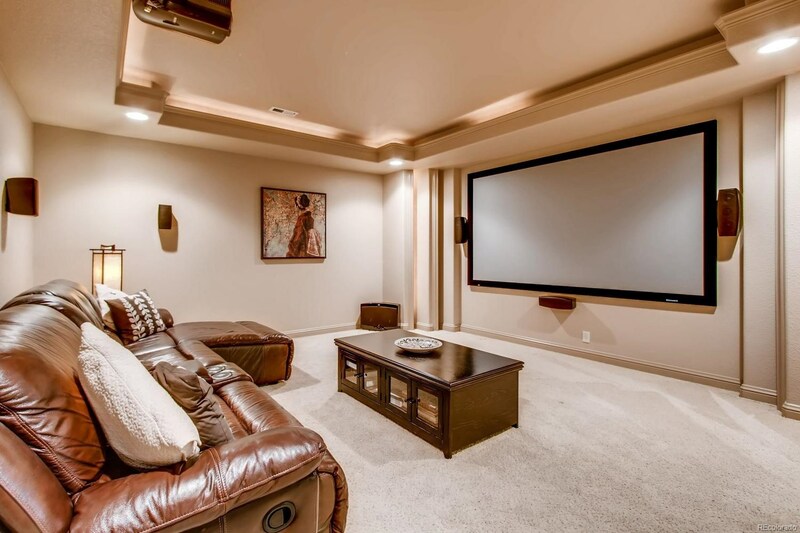 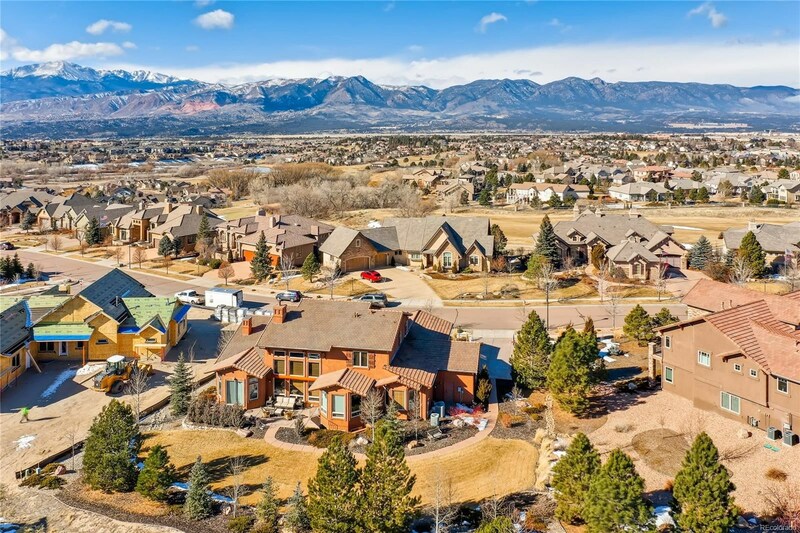 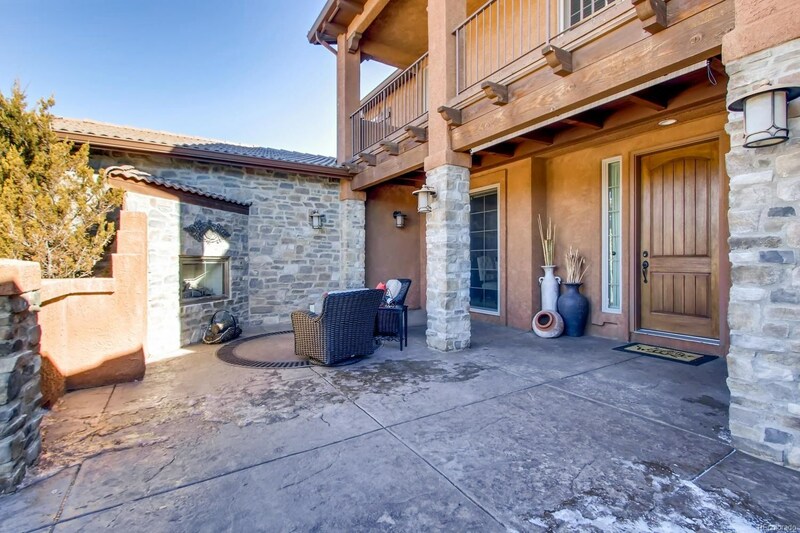 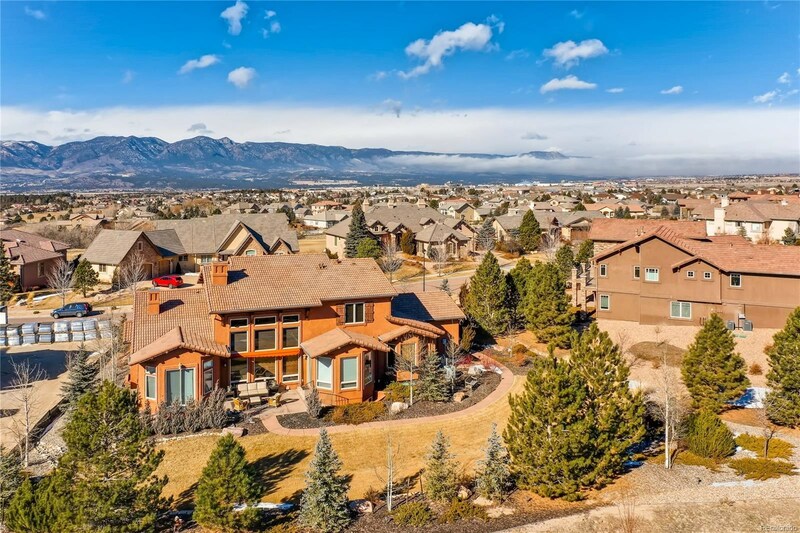 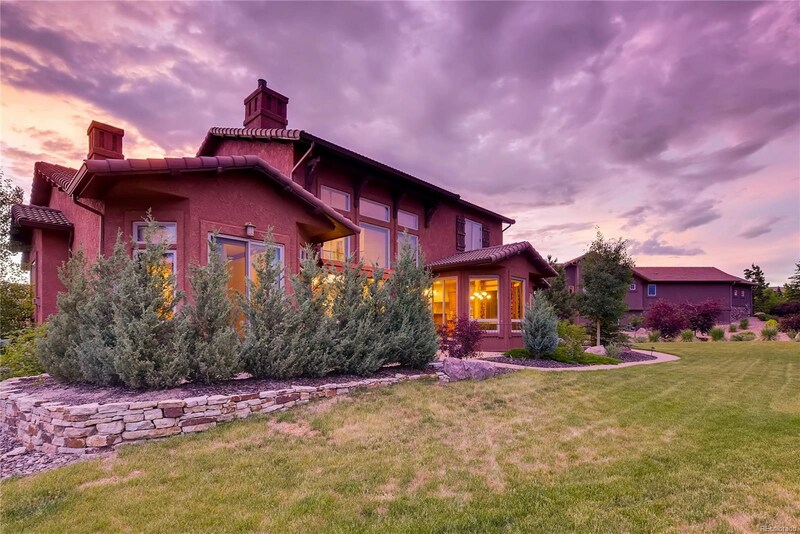 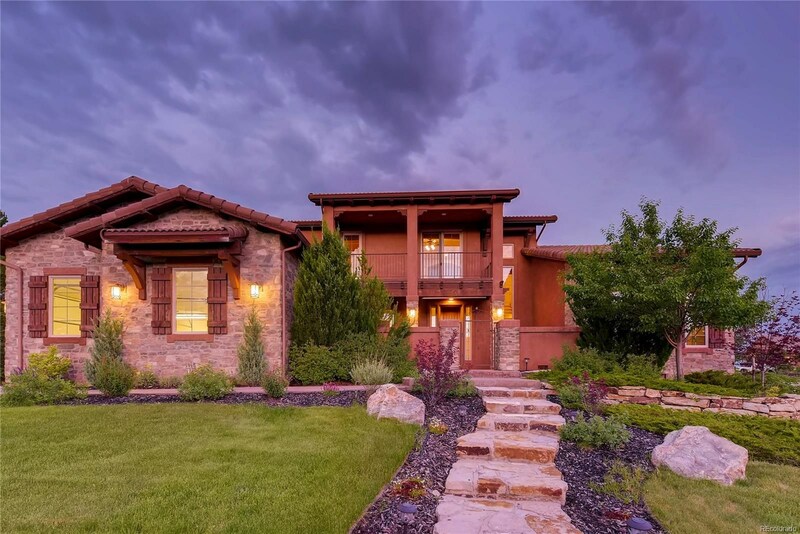 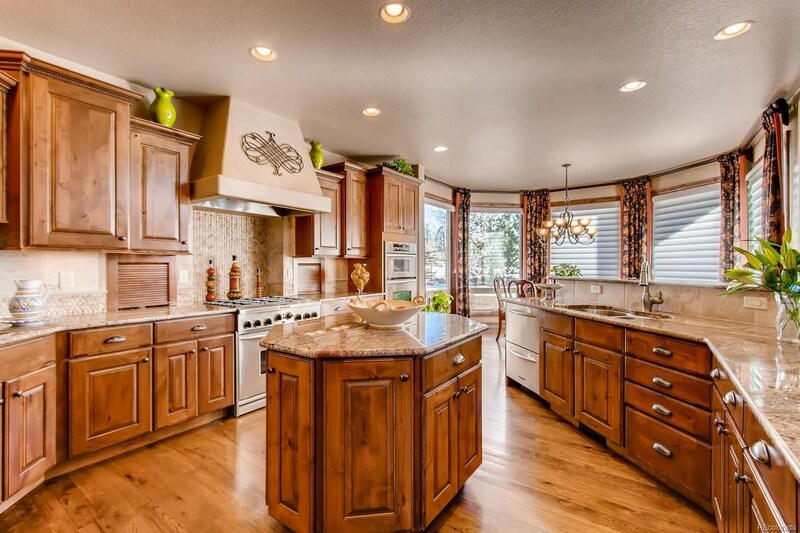 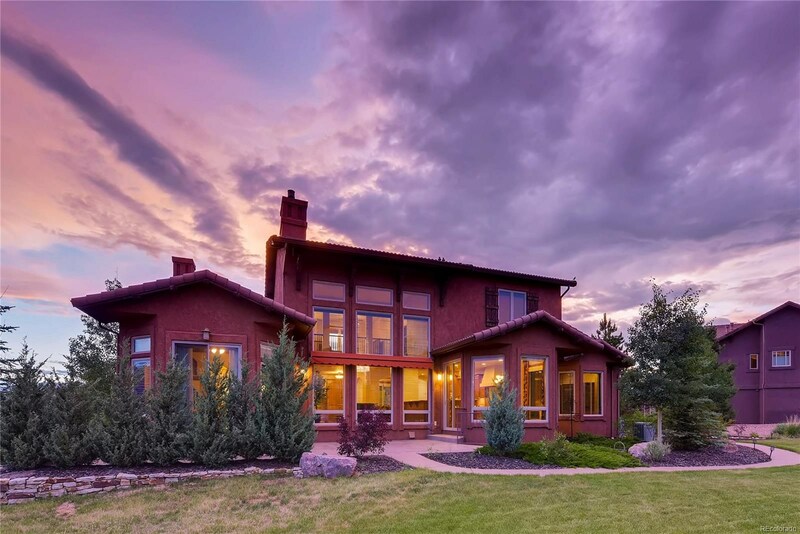 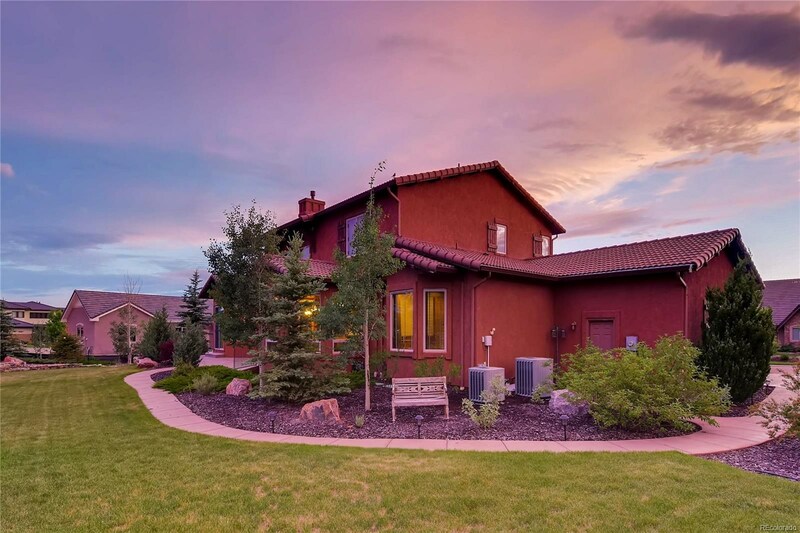 Gorgeous custom Tuscan estate in the sought after golf course area of Pine Creek with mountain views! 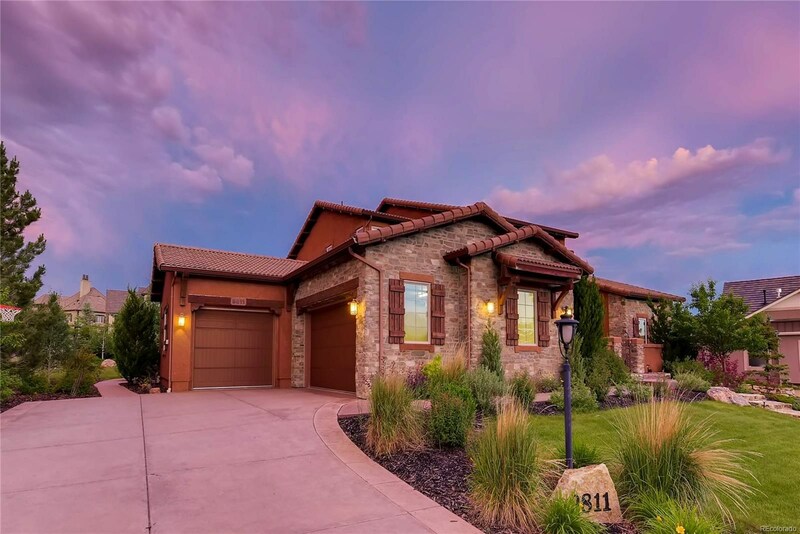 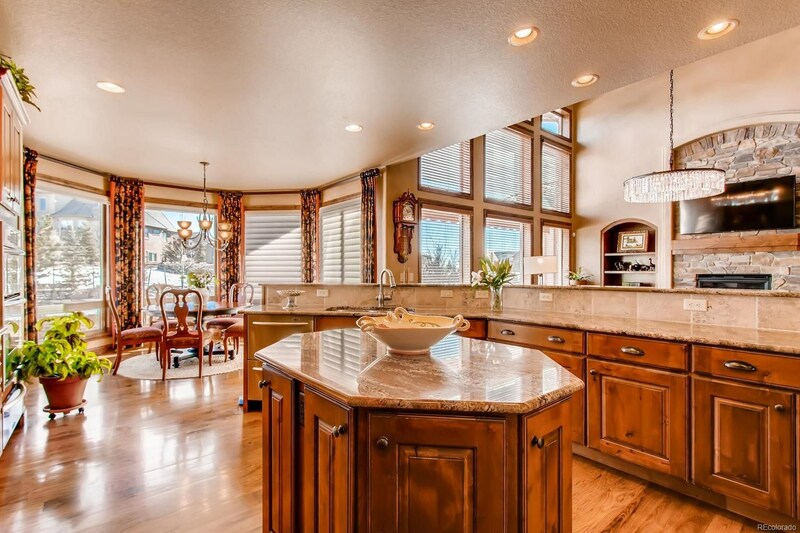 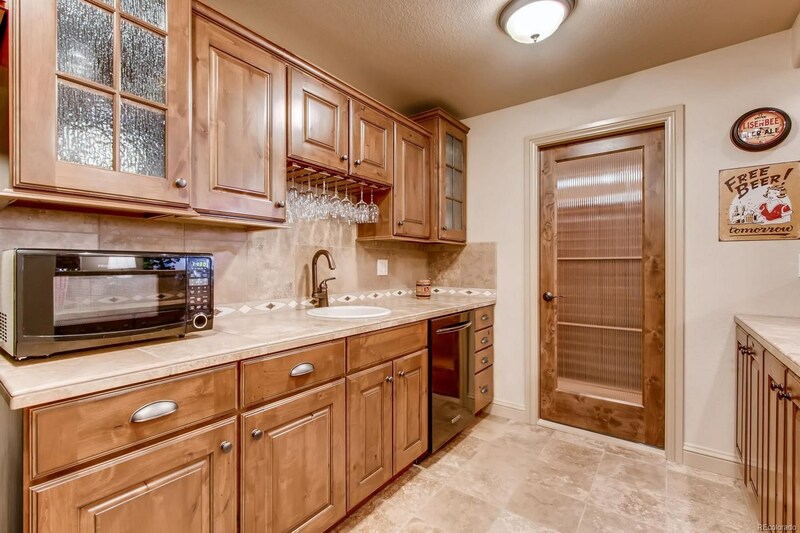 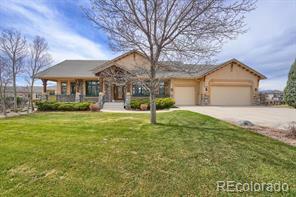 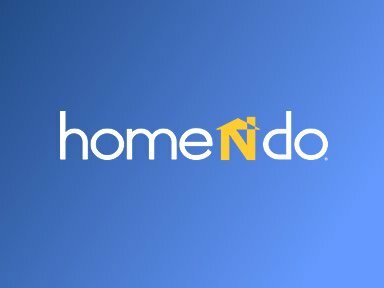 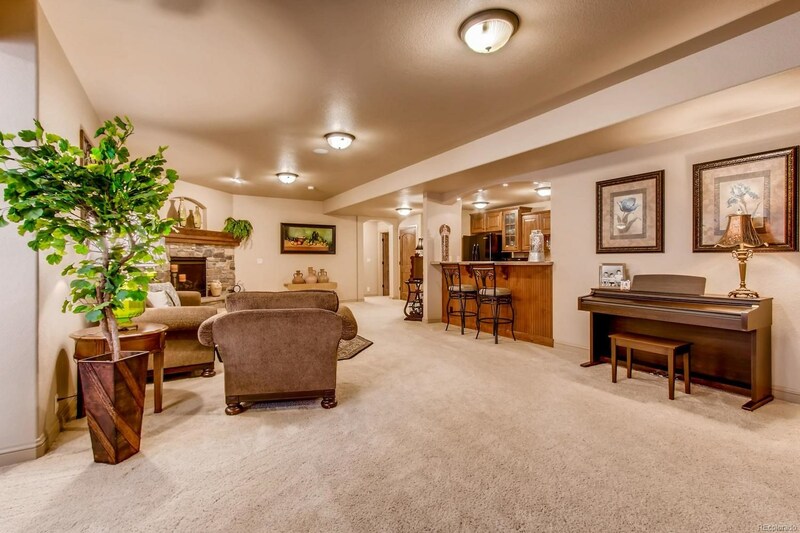 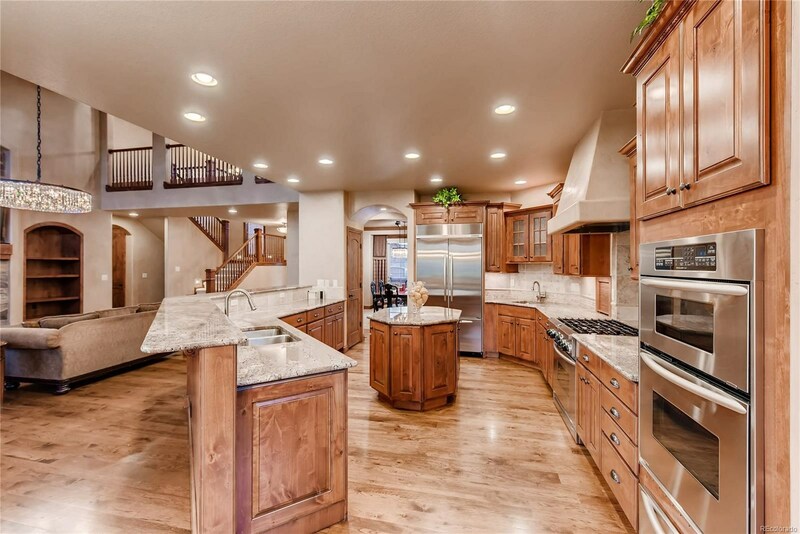 This former Parade Home has a very desirable open floor plan w/ designer finishes that feature Hickory floors, Alder cabinets, 8ft doors, marble and slab granite counters. 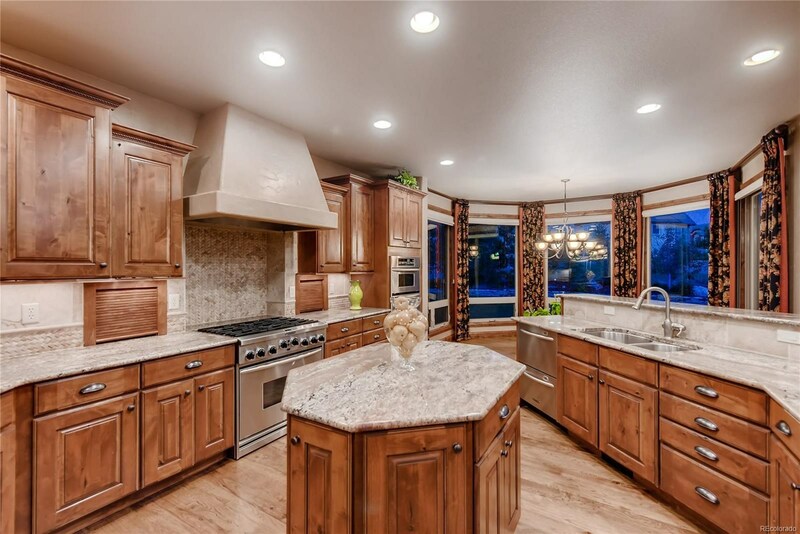 Gourmet kitchen features high-end stainless steel appliances with 2-ovens, 2-pantries, 2-sinks, a center island and a breakfast nook. 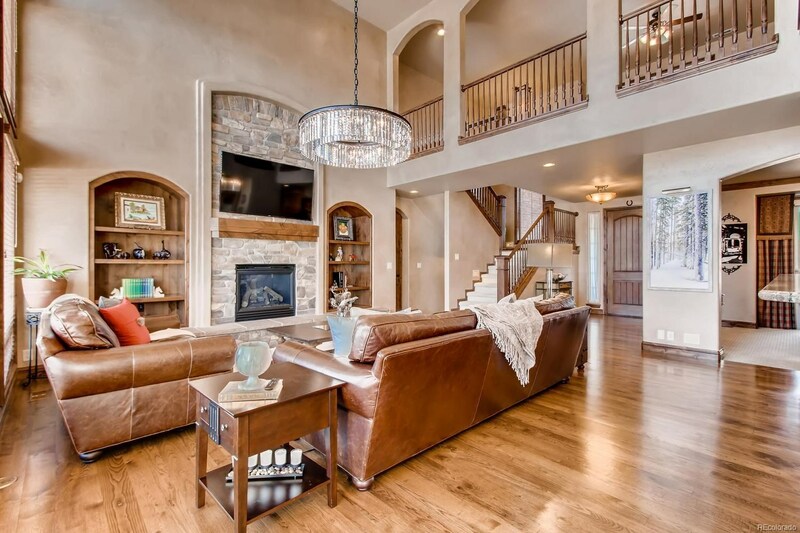 The great room features a two-story wall of windows, custom stacked stone fireplace w/ side built-ins, perfect for entertaining. 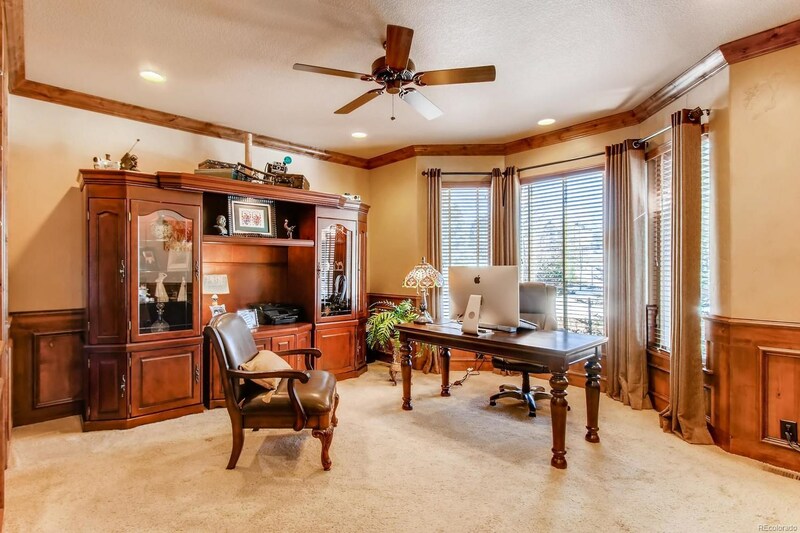 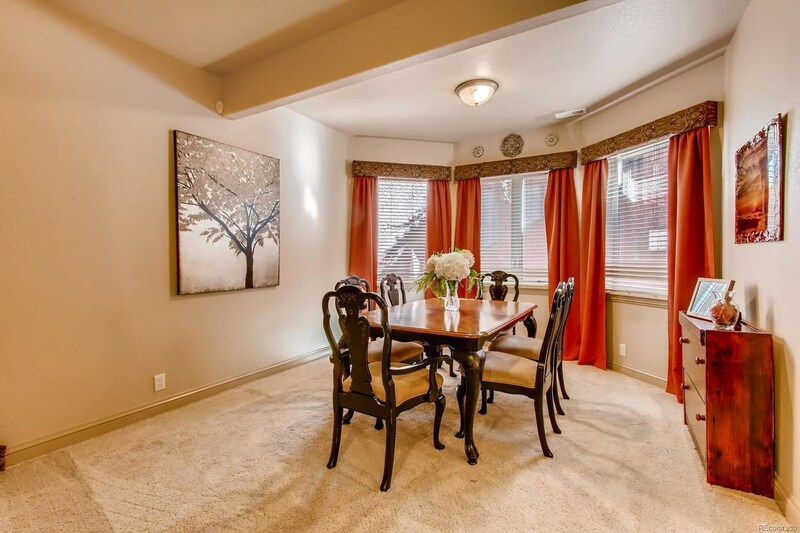 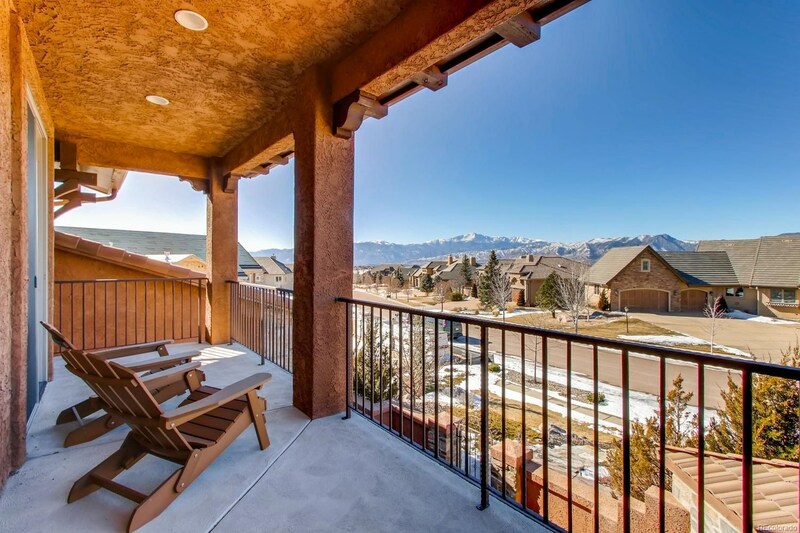 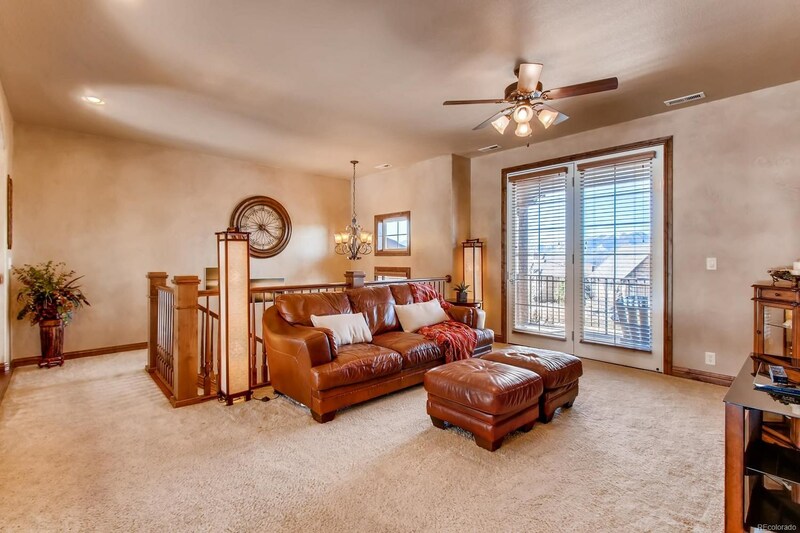 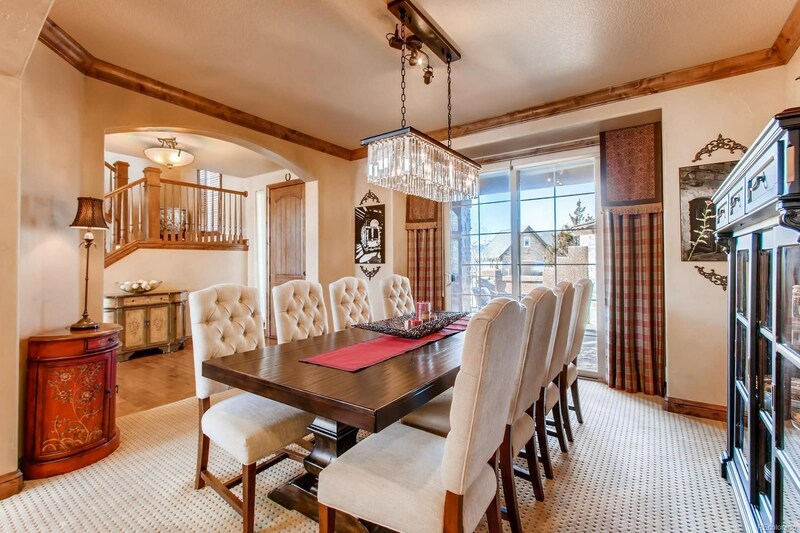 The formal dining room w/ crown molding opens to a private courtyard w/ fireplace and Pikes Peak views. 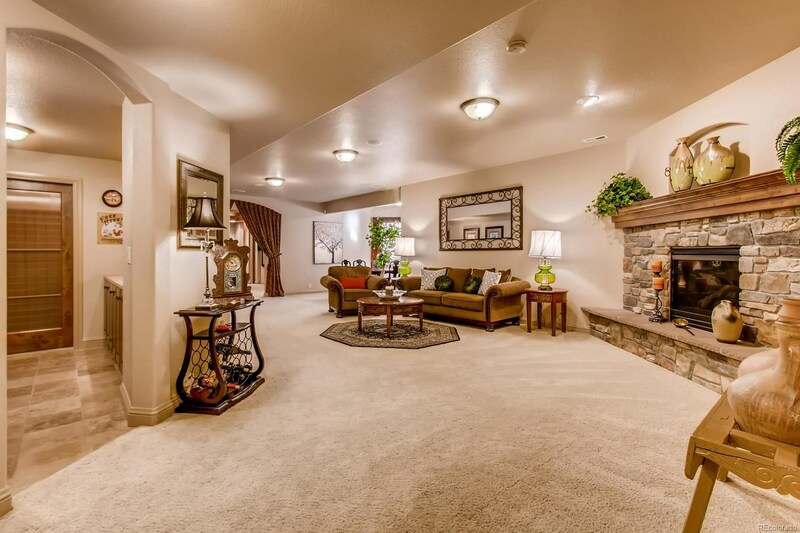 The spacious master retreat has a fireplace, access to the patio and features a 5 pc. 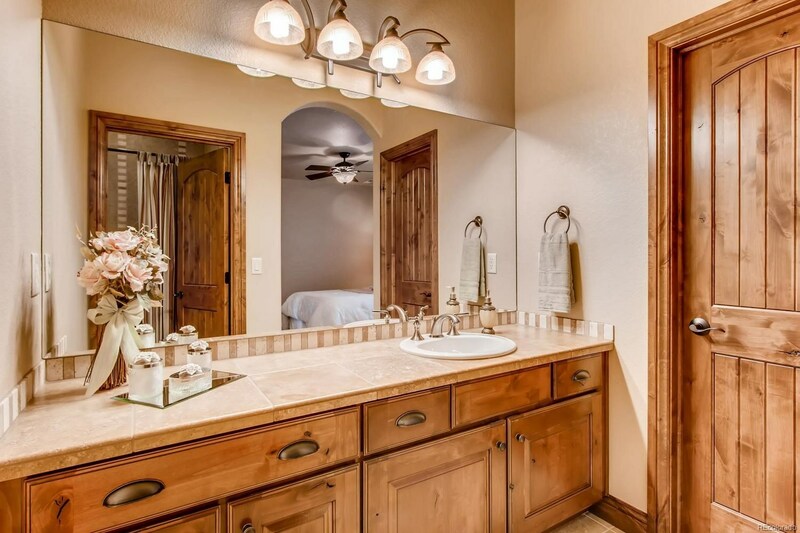 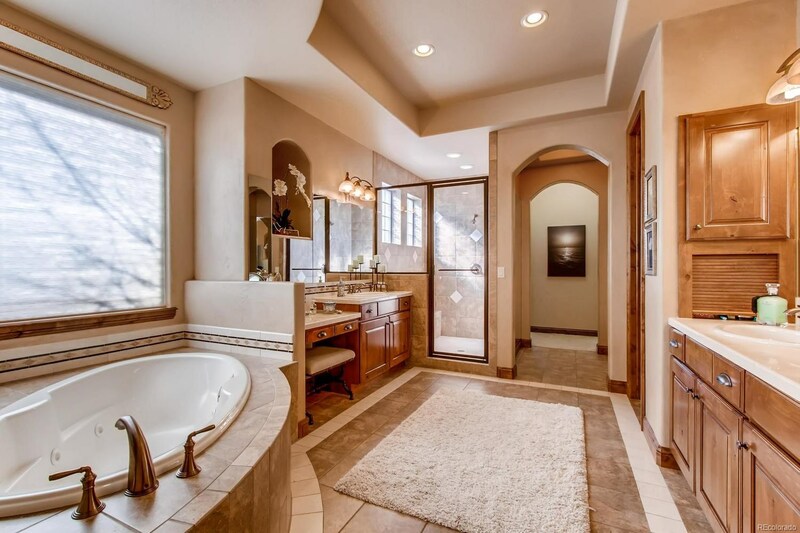 spa with jetted tub and marble countertops, a double shower, a dressing area plus his and her closets. 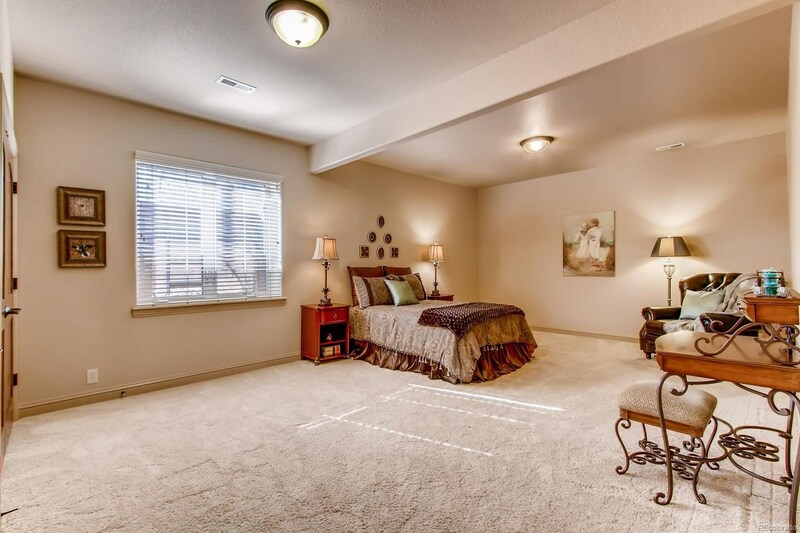 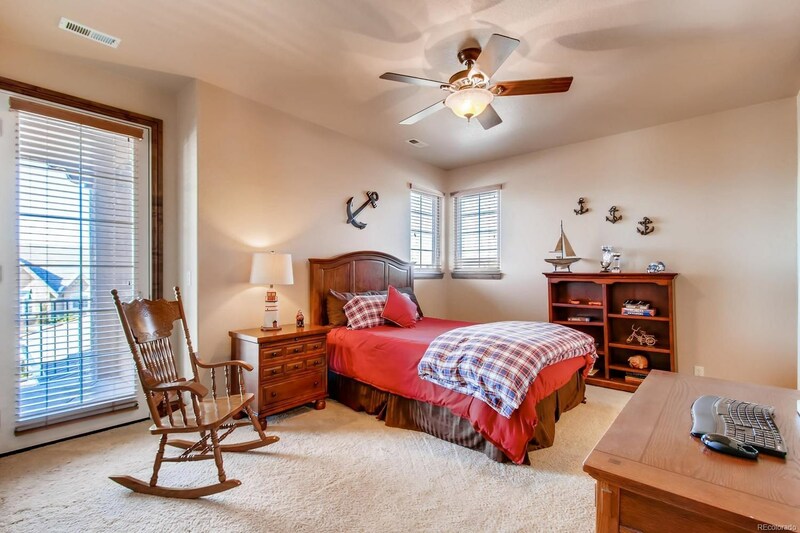 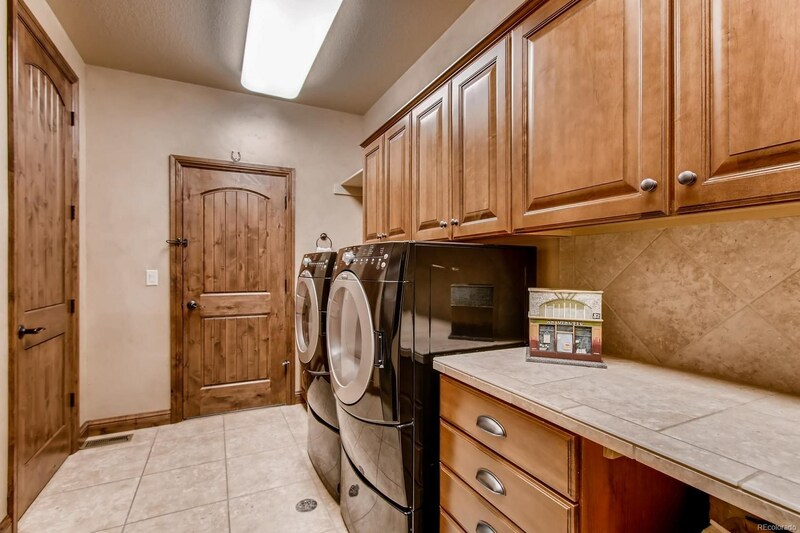 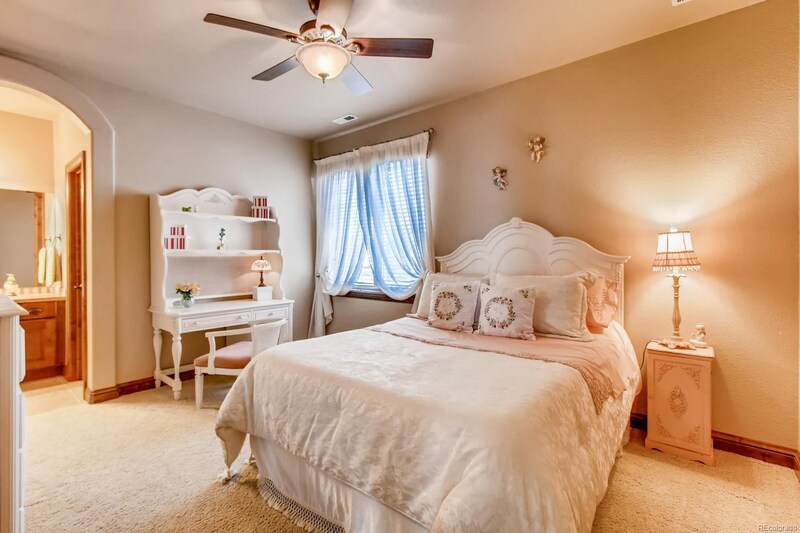 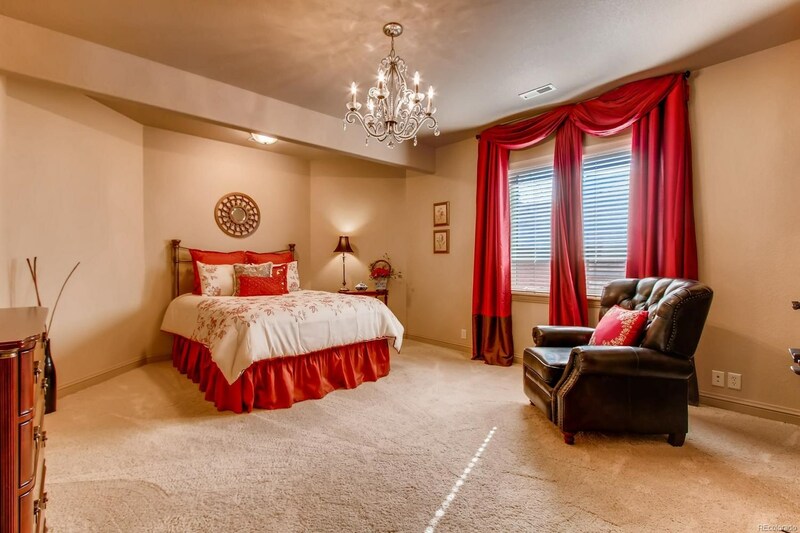 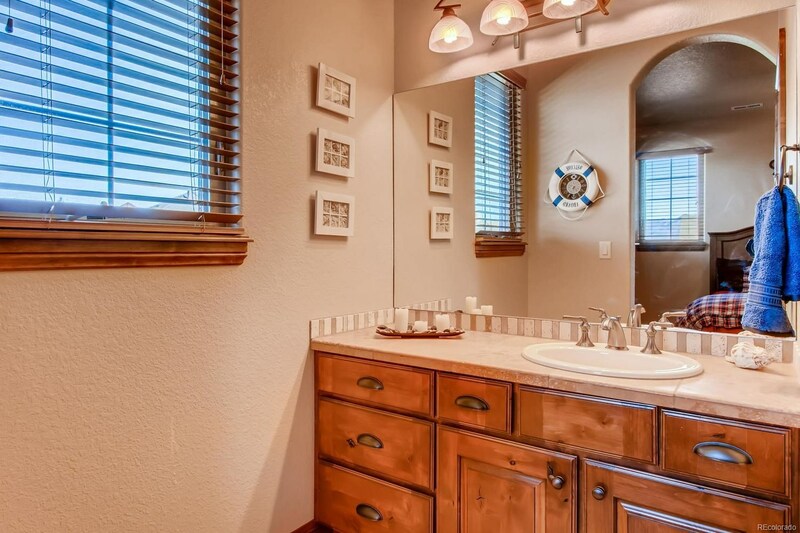 The upper level features two large bedrooms w/ Jack and Jill bathroom layout.